A central topic of most debates on sustainable food systems is the complex role of livestock, meat and dairy. This is due to their connection to many issues of moral and practical concern related to food systems; affecting both humans and the environment, and animal's own interests. The picture is complex. And because different stakeholders bring different worldviews and perspectives, people often disagree about the appropriate role of livestock, meat, and dairy, in sustainable food systems. Yet demand for meat and dairy consumption is expected to grow considerably, and as a result, debates around livestock-related issues are becoming increasingly prominent. Understanding these helps to provide a broader understanding of food systems more generally. How does livestock product production and consumption relate to issues around nutrition, the environment and animal welfare? Who are the major stakeholders in these debates and what arguments do they make in relation to the above? What is the evidence to support these arguments? Why do people who agree on the nature of a problem disagree about the way(s) to solve it? What are the perspectives that shape how a person approaches a problem? Livestock represent a convergence point of concerns within food systems; encapsulating issues and outcomes of greenhouse gas emissions, nutrition, animal welfare, livelihoods and many others. The debate around meat and dairy has many stakeholders holding many different priorities, interests and values: the livestock and food industry, civil society, consumers, vets, ethicists, public health bodies, academics and policy makers. Many countries have official food-based dietary guidelines. Meat and dairy features in all of them, with around a quarter recommending reducing or limiting meat intake, and some distinguishing between forms of meat and dairy on the basis of health impact. Very few take into account the sustainability of diets. In high income countries, the evidence on the association between meat consumption and poor health outcomes often falls short of proving beyond doubt, a causal link. Different ‘pathways’ for impact have been proposed, but different stakeholders interpret the meaning of the evidence differently. 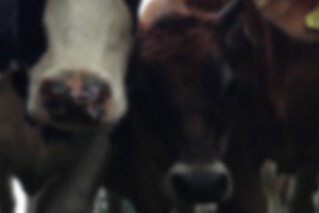 In low income countries, livestock rearing and meat consumption are usually associated with positive health outcomes, both via the benefits of keeping livestock on access to animal-sourced foods, and income to spend on health; and by the nutritional contribution that meat and dairy make to people’s diets. Livestock contribute 14.5% of human-made GHG emissions. Carbon sequestration has been posited by pro-livestock stakeholders to offset these emissions, but the evidence is that this potential is limited, and very dependent on circumstance. Under business-as-usual scenarios, total meat consumption is projected to nearly double by 2050, and per capita meat and dairy consumption is also due to rise, but with most of this rise taking place in low- and middle-income countries. Animal welfare can be defined as five freedoms. Freedom from: hunger and thirst; discomfort; pain, injury and disease; fear and distress; and to express normal behaviour. These can be affected by many different factors in farming systems. The effect of intensifying livestock production on animal welfare is complex and debated. Impacts will depend on how intensification occurs, and will differ, according to the baseline type of farming system considered: i.e. subsistence versus more industrial farming models. Better animal welfare and lower environmental impacts per unit of food, don’t always co-occur. The most intensive livestock production systems are more GHG and land-use efficient. However, increased total consumption due to lower food prices, may offset any reduction in impacts. Differences in perspectives on what the problems of livestock production are and how to solve them, stem from three main worldviews: the efficiency perspective; the demand-restraint perspective; and the systems transformation perspective. Garnett, T., Scarborough, P., & Finch, J. (2016). Focus: the difficult livestock issue (Foodsource: chapters). Food Climate Research Network, University of Oxford.